Very excited to announce that Theresa Is a Mother is on Netflix! What a great job of our Distributors, Garden Thieves Pictures for getting us on this amazing platform. If you have Netflix (if not, now is the right time to try it) please give us a go. And if you like, consider writing a quick review and giving us a star rating. Others will want to hear what you have to say! C. Fraser Press stars, co-directs and scripts this dark indie comedy about a financially struggling mother who moves back into her parents’ home with her three children. 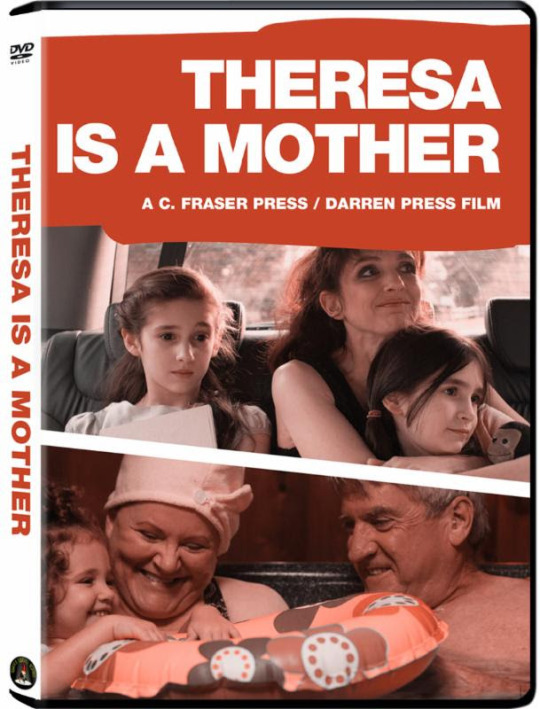 Even by indie film standards, Theresa Is a Mother is a family affair. The titular role is played by C. Fraser Press, who also wrote and co-directed the film with her husband, Darren Press. 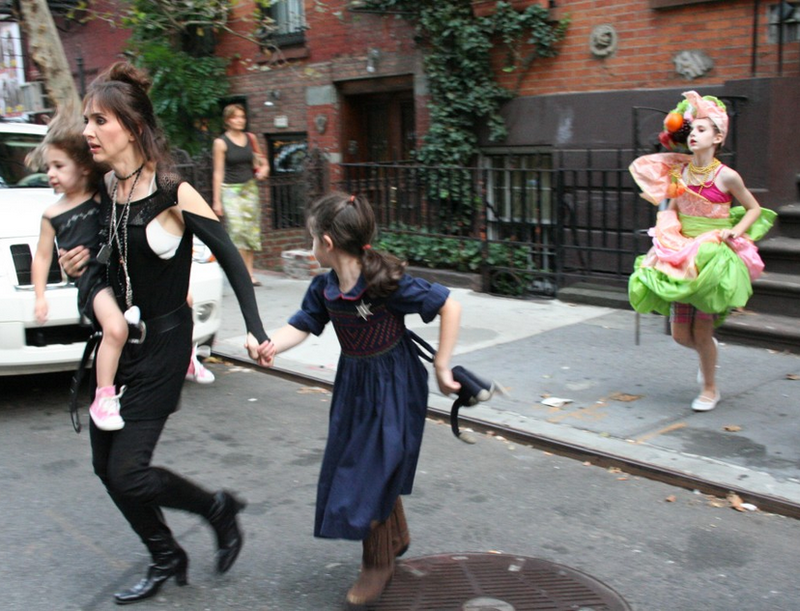 The couple’s three children play fictional counterparts in the film, and one daughter wrote and performed the theme song. This is clearly a clan who believes in playing together. The resulting film, while having a rough-hewn feel, emerges as something more substantial than a simple homegrown project. The quirky dark comedy centers on Theresa, a forty-something single mother of three whose career as a vaguely punkish singer-songwriter has not paid off. Facing eviction from her city apartment, she packs up her young daughters — Maggie (Schuyler Press), Tuesday (Maeve Press) and Penelope (Amaya Press) — and returns to her rural hometown, where she plans to live temporarily with her parents (Edie McClurg, Richard Poe), with whom she has a strained relationship. Cue the quirkiness, as the folks Theresa remembers as emotionally distant are now fun-loving hipsters who enjoy hosting hot tub parties. Theresa, unable to find employment, is reduced to wandering the neighborhood asking for odd jobs, causing her to compete with 13-year-old Seth (Matthew Gumley) for yard work. Undercutting the boy on price, she’s confronted by his father, Jerry (Robert Turano), a bank official who had turned her down for work. She doesn’t bother to correct him when she realizes he assumes one of her daughters was the culprit. He then asks her, out of the blue, to write a song for Seth to perform at his bar mitzvah. Theresa, meanwhile, has her hands full as a parent, with one child donning a Carmen Miranda-style headdress and lip-syncing to drag queen videos and another obsessed with a television cooking show with heavy religious themes. None of this rings remotely true, but it has an emotional resonance nonetheless, largely due to Press’ vanity-free performance as the frazzled and neurotic single mom who can barely take care of herself, let alone her brood. Reliable veterans McClurg and Poe provide excellent support as the parents traumatized by a past tragedy, and the child performers go through their often outlandish paces with admirable professionalism. Truly offbeat in its pacing and willingness to veer off on eccentric tangents, Theresa Is a Mother doesn’t always succeed in its stylistic ambitions. But it does present a psychologically rich portrait of its central character, who elicits a bizarre fascination. Unknown indie Director/Writer/Actress C. Fraser Press stars as a single mother struggling to support her family as a singer/songwriter in NYC. Inevitably, their precarious life comes crashing down, forcing her to do the most demeaning thing that a human being can do: Take the kids and go live with her parents. These particular ‘rents (Edie McClurg and Richard Poe, both faces you’ll recognize from TV) are happy to see the grandkids, yet there’s an obvious distance between the adults; some long-suffered wound that is never mentioned, permeating their every thought. But this isn’t a dark downer-drama! It’s a surprisingly upbeat and life-affirming comedy, bolstered by loads of great music. Recommended. Theresa Is a Mother is now available on iTunes. Download and watch on the beach, poolside, subway or while experiencing insomnia.